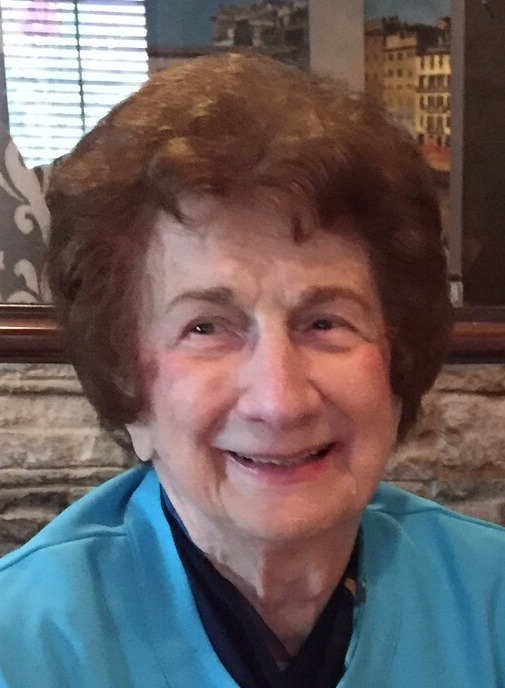 MADELINE GASPARRO, 89, of Howell Twp., NJ, passed away on Thursday, August 30, 2018, at CentraState Medical Center, Freehold Twp., NJ. She was born in Jersey City, NJ, and resided in Parlin, NJ, and Jackson Twp., NJ, prior to settling at Brandywine Assisted Living in Howell Twp. Madeline was employed with Amboy Madison Bank, Old Bridge, NJ, holding the positions of Head Teller, Bank Manager, and New Jersey Branch Manager, retiring in 1997. She was also employed with J.C. Penny, Parlin, NJ, where she worked in their credit department and as a Salesperson. She was a member and Chapter Chairperson of the finance committee of South Amboy Hospital, a member of the National Association of Female Executives, National Association of Bank Women, holding the position of Past Hostess, Finance Women International, Raritan Bay Group, holding the positions of Chairman, Vice President, and President. Madeline was a communicant of St. Bernadettes Roman Catholic Church, Parlin, NJ, where she was the past President of the Altar Rosary Society, and a Eucharistic Minister, and more recently a communicant of St. Aloysius Roman Catholic Church, Jackson Twp., NJ, where she was a Eucharistic Minister. Madeline was predeceased by her parents, Donato and Anna Dachille; her husband, Dominick Gasparro in 2002; her sister, Julia Sangirardi; her brothers, Joseph, Lance, and Frank Dachille; and by her daughter-in-law, Abbe Gasparro. She is survived by her sons, Joseph Gasparro and his wife, LouAnn of Carteret, NJ, Donato Gasparro of Millstone Twp., NJ, and Frank Gasparro and his wife, Linda of Pennington, NJ; her daughter, Dorothy Gasparro of Jackson Twp., NJ; her 10 grandchildren, Nicole, Joseph, Ashley, Mikaela, Dominick, Vincent, Gianna, Alex, Gregory, and Stephanie; her 3 great grandchildren, Alana, Siena, and Lola; and by her brother, Vito Dachille. Relatives and friends are respectfully invited to attend her visitation from 2-4 & 6-8 PM on Monday, September 3, 2018, at the GEORGE S. HASSLER FUNERAL HOME, 980 Bennetts Mills Rd., Jackson Twp., NJ 08527. A funeral gathering will be offered at 8:30 AM on Tuesday, September 4, 2018, at the funeral home. Her Funeral Liturgy will follow at 9:30 AM at St. Aloysius Roman Catholic Church, 935 Bennetts Mills Rd., Jackson Twp., NJ. Entombment will follow in Franklin Memorial Park, 1800 Rt. 27 (Lincoln Highway), North Brunswick, NJ 08909. In lieu of flowers, contributions may be made in Madeline’s memory to the American Lung Association of New Jersey, PO Box 10188, #37214, Newark, NJ 07101-3188 www.lunginfo.org and would be greatly appreciated. For directions, further information, and to send condolence messages to the family, please select a tab on the left.